At Northwestern, campus organizations need the ability to easily manage and publish WordPress sites. The system the university was formerly using to manage affordable hosting at scale had technical limitations that precluded them from accommodating certain plugins, themes and configuration requirements. Pagely stepped in and enabled Northwestern to run these feature-demanding WordPress sites while maintaining the high degree of security and support a top tier university requires. Northwestern University is a private, research university in Illinois, with satellite campuses in Chicago, Qatar, and San Francisco. Renowned as one of the most elite universities in the country, Northwestern is known in particular for its excellent programs in law, journalism, medicine, and art. We've had a great experience working with Pagely. Anytime we've had issues or concerns, they've been addressed. We have a very defined and focused mission of how and when our WordPress applications that are being delivered by WordPress. It has been a great vendor-client relationship. We have very specific and defined goals that we're looking to deliver with WordPress on our Pagely platform. Pagely has done an excellent job hitting that sweet spot for us and delivering these products to our end users with the performance, the up-time, and the security goals we seek in an affordable manner. Northwestern had a slew of departments and schools independently managing their own WordPress instances, and there was a broad range in how they were implemented and to what level of efficiency. This eventually led to a problem of sprawl and security exposure. Northwestern quickly realized it would be beneficial to institute a more streamlined system that allows and provides online publishing for users that want to use WordPress, while ensuring consistency and security. This was managed by their other hosting company. However, not all websites fell into the same bucket. Some required sophisticated customizations, unique requirements, and configurations not possible under their hosting company. 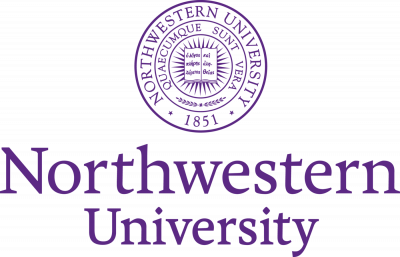 Northwestern needed the ability to have a different group of sites that could be more freely administered while retaining all the maintenance, security and support benefits they had come to expect from their other hosting platform. That’s when they went to Pagely. Northwestern now uses Pagely to syndicate content from one networked location to high profile, museum-quality interactive displays across campus, while keeping it cost-effective. They also have other custom applications that high profile researchers have developed in WordPress that require the security and the reliability that the Pagely environment provides, while also offering the freedom to be able to execute outside a narrowly defined, commodified WordPress experience.